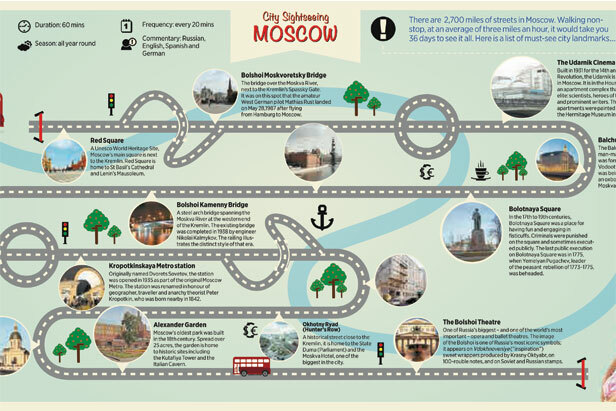 There are 2,700 miles of streets in Moscow. Walking non-stop, at an average of three miles an hour, it would take you 36 days to see it all. Here is a list of must-see city landmarks. Here are some places that you can visit in center just walking or taking the red double decker.